Now let's see what today's bloggers have in store!!! 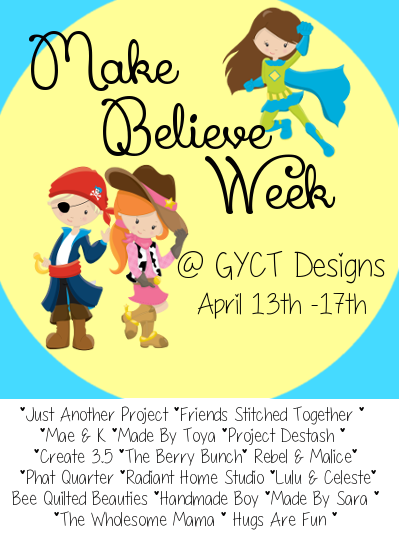 Kelly From Just Another Project is sharing her Mix and Match Monster Puppets. 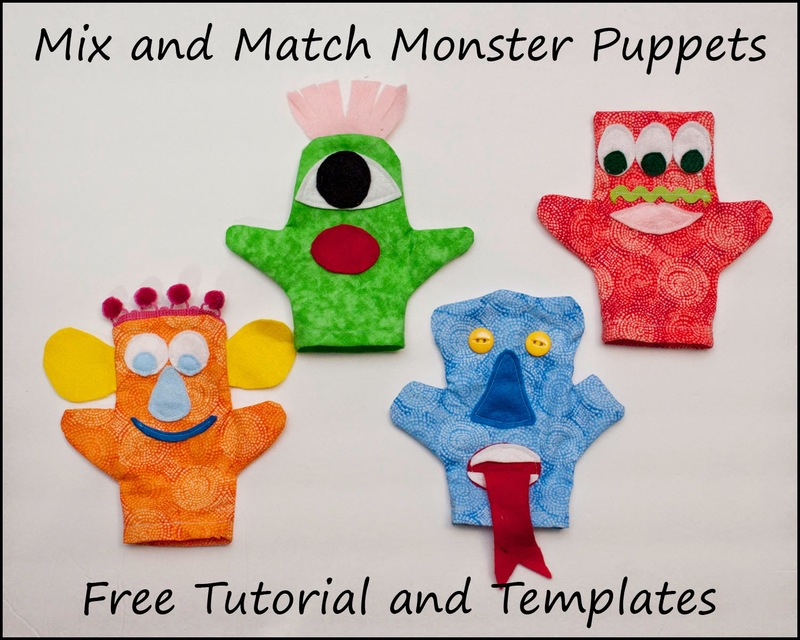 Check out her blog to grab the template and create your own unique monster puppets for your toddler or preschooler. Your child will love mixing and matching different facial features and puppet shapes. I am super excited about this Chair Oven Amy from Friends Stitched Together has put together. This has seriously been on my list to do for like 6 months. 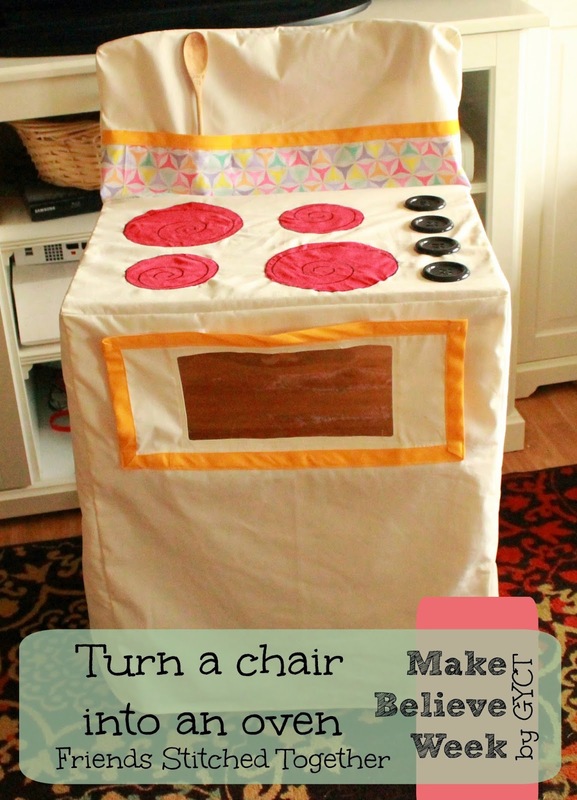 So simple just make a chair cover and add some fun additions to turn it into a play oven for your kids. 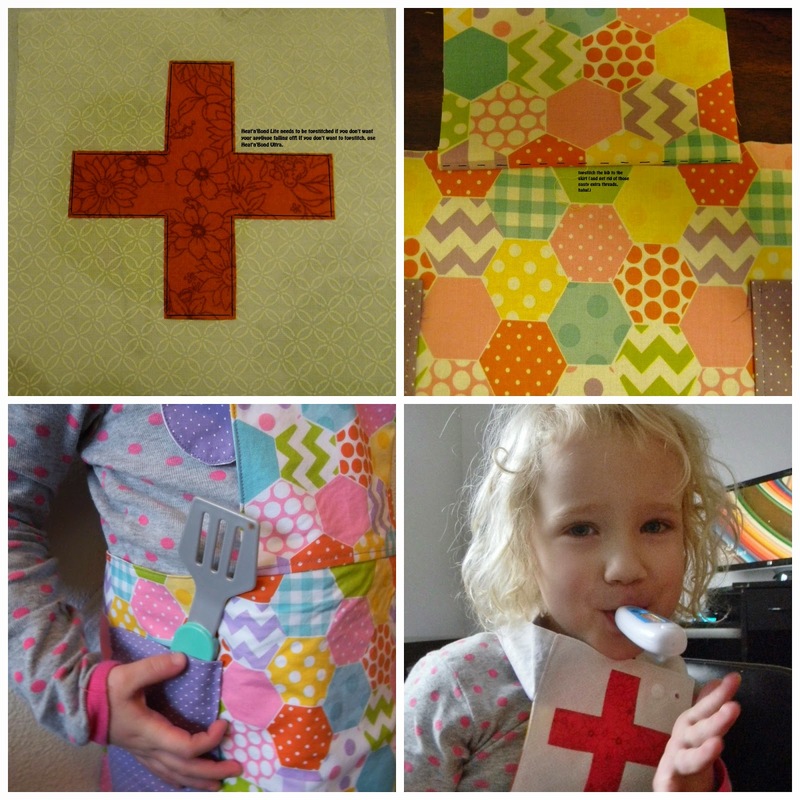 Meriel from create 3.5 has a fun Reversible Play Apron over on her blog. Make it up using laminated cotton for real kitchen play or a young artist's studio or use quilting cotton, twill, denim or corduroy. This pattern is made with basic rectangles and great for a naptime project. In an hour or less, your little one can have a choice of two careers from a chef to a nurse, painter, potter. Whatever you choose!